Continuing the Statement from Deu. 34:1-3, God completes the judgement in "Zion/Zoar", the Heart of Judah or the Contiguous Country with the Jewish Population, Lamentation 2:17-19 and 1 Kings 11:13 ... ... ... ... More importantly Deu. 34:1-3 is a restatement of Ezekiel 9:1-4, in which the Mark of the Beast is bestowed upon the people where the "Sign of Antipas/Divorce/Inkhorn" is revealed, which we could it into the activation of the Pleiades for 195 Days of "Events of Revelation". ... ... ... ... God disputes Aaron's Separatist Inheritance*, so 636 the Mark of the Beast does not count Aaron's Genetic Line or Clergy, it only counts 4 of the 5 Separatist Inheritors*. That is 195,000 or 159,000 x 4 = 636,000 (Even though we are presented with a slightly higher surrounding figure, for the hours in which Jesus was crucified, the figure is corrected by the time we reach revelation). When the 195 Days of "Events of Revelation" are completed, and all the people that choose to migrate to Star Wormwood from what remains of the USA's population, since this place is the only one to be left a life, then God will choose no more than 195,000 for each Category of the Separatist Inheritors* of the Gospel's Program from those and no more, not a single soul more. Easiest and most accurate answer to the "Events of Revelation" is the 1290 of Daniel 12 which is 1260 Days of Rev. 11:3, and 30 years of Luke 3:23, this is the 12210 Days of the Antichrist's Lifespan, and this matches the Mayan Calendar of 12/21/2012 which was a misunderstood conclusion. Set up a perimeter in the City of Philadelphia in the "Area of Effect", to help thwart, the ethnic's promotion of suicide, and make more blood sacrifice of 195,000 of Genetic Dan relative to the Aarot Terminal. Euthanasia is your only recourse for Genetic Dan, but since the Gospel's goal is not the promotion of cruelty, Genetic Dan will challenge you to kill themselves and those around them ... after studying the situation from a first person perspective, I believe that if you allow the media and the authorities to education the public and mock the Sign of Antipas/Divorce as a period of scientific advancement, you can help stop the waves of ethnic cruelty you will experience, and perhaps bring a great many people to the USA during these 42 days of the 195 Days of the Events of Revelation. Right now you have just eleven days to prepare the military to occupy the relative "Area of Effect" in the City of Philadelphia, and to move out the local residents. Jesus is not going to pay for the sin of many people with "Joseph the Blessing", but you don't know before hand, who, except there is a number for these purposes, so you are encouraged to be faithful, because this generation is used to complete the discernment of the Separatist Inheritors* for the Separatist Inheritors*, with Naphtali being relatively complete or completed. All that being said, I sincerely believe God has numbered the Separatist Inheritors* around 195,000 and 636,000 in order to establish the conviction of Aaron, therefore God has also issued the commandment that "No Man can Number the People Clothed in Star Wormwood", because there is no limit to the population left in the USA that will immediately see the New Universe, when they are taken by Star Wormwood, because they will not perceive the process of time. (God places complete confidence in the Antichrist, in expressing the Repentance of Aaron, and also in the Assurance that God is not playing games when its time to go to Star Wormwood, if your there then you are there and if your not then you are not, it is that simple). 3/23/2016, it is unlikely that God will not reveal his Glory, after establishing this fact in all three of the testaments, Old/New/Revelation. There will be no World War of any value for my covenant, and no Flight 370 will be returned, nonetheless, I waited for March 8, 2016 to fail to remove any reasonable doubt, however facing 3/23/2016, I believe its a trial of faith, and there should be no reasonable doubt any more on my part as the Antichrist. Love and Blessing, See you in the Future. This is not the most known or popular. I beg to differ. 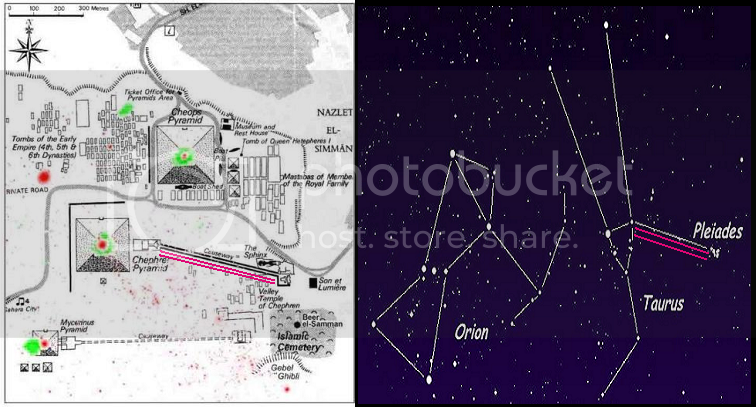 Cygnus is the most known (or should be) as to what/how the pyramids at Giza are laid out to. The Great Pyramids aligned to "Orion's Belt", and Orion's Belt points to the "Pleiades" (Face of the Sphinx faces outward). 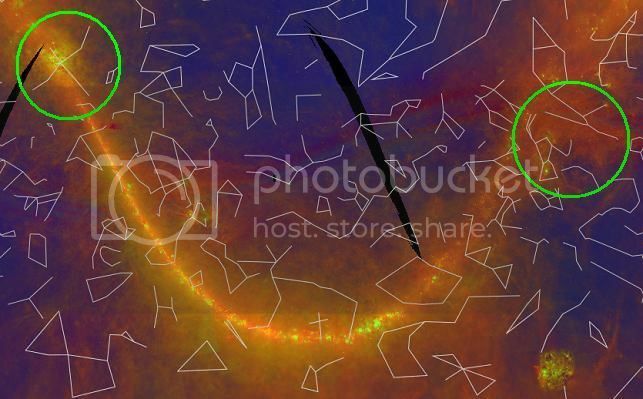 (The Man in the Center has, 3 stars of, "Orion's Belt" above his head, and he is to the left, the "Pleiades" is to the right and that is what he is looking at, the egg, the "Pleiades" is located in Constellation Taurus the Bull, that is to the right in the inscription). ... ... ... ... Constellation Cygnus the Swan is located to the far left in the inscription ... ... ... ... the two circles immediately to the right of the Cygnus Swan in the inscription represents two points ... ... ... ... the First Point is the Ninth Planet/Nibiru, the Second Point is the Earth's Moon the Tenth Planet, Luke 17:15-17, Ninth Planet is behind Orion, and the Earth's Moon is before Orion (Matching the description from the Sumerian VA243 SEAL, sun symbol with one bottom point aligned to Ninth Planet, and to the Right of the sun symbol the Earth's Moon is referenced, Luke 23:44, the same positions reference the 195 Days of "Events of Revelation" which begins with a Rainbow from two points). The significance of the two points? They are just parables, until we can gauge the "Rainbow" that connects the Ninth Planet to Earth's Moon. At that level there should also be some identification with the alignments they are referencing. ISAIAH 17:6 Yet gleaning grapes shall be left in it, as the shaking of an olive tree, two [or] three berries in the top of the uppermost bough, four [or] five in the outmost fruitful branches thereof, saith the LORD God of Israel. II CORINTHIANS 11:24 Of the Jews five times received I forty [stripes] save one. Ezra 8:1-3 states that by the time the 150 Days of Star Wormwood begins, Genetic Dan is Euthanized. There are also several other instances of references to this pattern of 195 Days for example, in Acts 13:20-21, Samuel's Transition to Saul, is like the Antichrist's transition from just "Confirming the Covenant", to "Reigning by Gathering the People for Star Wormwood", as the book of revelation denotes. We also see very clearly in 2 Corinthians 13:1-2, that God says the "Third Testament of Revelation" is established from 3/23/2016 to the "Three Days of Darkness", to resolve the sin in Isreal. ... ... ... ... More traditional approach to this pattern is simply "Noah's Description" or "Jonah's Description": 2 Kings 2:22-25, the Body of Jesus the Great Harlot is revealed for 42 Days to finish the repentance/conviction of the "Suckling Child Aaron". (Jesus was Crowned on the Cross, his Head is a picture of this Rainbow for Two Days) ... ... ... ... Nehemiah 5:14-17, at the 12210th Day of the Antichrist's Lifespan on 3/23/2016, this begins 195 Days of the Events of Revelation (42 Days and 153 Days). (Mayan Calendar Like the Gospel's figure of 1290 of Daniel 12, or 1260 Days of Rev. 11:3, and 30 Years of Luke 3:23, mark the 12210th Day of the Antichrist's Lifespan to mark the 195 Days of the "Events of Revelation"). What did the "Bjork Stalker" have to say? "Antichrist lifespan is numbered at 12210 Days", this is the message that is inscribed to the sign that says "The Best of Me" in the image above. "Bjork Stalker" idolized the "Two Witnesses" as they were represented by the "UFO Guardian", however he went a step further and taught that when the 12210 Days of the Antichrist Lifespan is completed, there will be a "Blood Sacrifice" to judge Aaron of Repentance, and then they will be deceased if this is not done when the "Three Days of Darkness" begins. 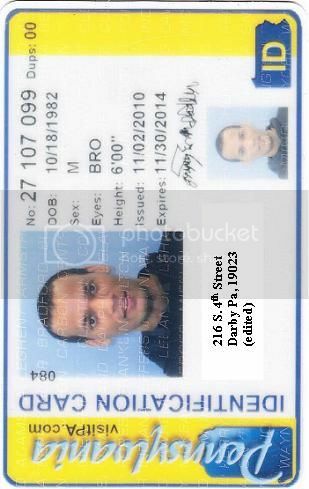 Public Safety Notice: Image Link ... ... ... ... Ethnic Suicide is very frequent, at this level I do not have the full cooperation of the Authorities, however, as I've suggested. You are to be overzealous in using the Military and the Police Department to Quarantine the "Area of Effect" of the "Sign of Antipas/Divorce" in the City of Philadelphia as a deterrent for Ethnic Suicide in the rest of the USA. While you weight your right to satisfy the Repentance of Aaron, as your lives come to a close at the end of this 42 day period. Love and Blessings, we have about 10 days now, until you must react, you don't have a choice. Right now the Antichrist does not have the full support of the media and the authorities, because the body counts in Ethnic Suicide have been so low, but I believe that will change soon. That's not Orion's Belt. It's the Cygnus Constellation. (Image Link ... recently both the Ethnics and the Christian Community has once again attempted murder, if I am fortunate, they will do this with considerable force on 3/23/2016, then we will simply go into the next level. As I've stated, no audio and no video, just a routine text every few days reminding the nations human life will be terminated very soon) Love and Blessings (this can also be done indirectly with adversity). Proof of the Giza Plateau laid out to the Cygnus Constellation as well proves the ancient Egyptians came from several planets in the Cygnus Constellation. I have many other proofs of this especially from NASA and other Crop Circles. Let me know if you want me to share. The "Causeway" that leads to the Sphinx, goes down on a diagonal from the relative center of the Constellation Taurus, coincidentally, the Center Pyramid of the of Three has the "Causeway" that points to the Sphinx, the "Pleiades" is used as a parable. 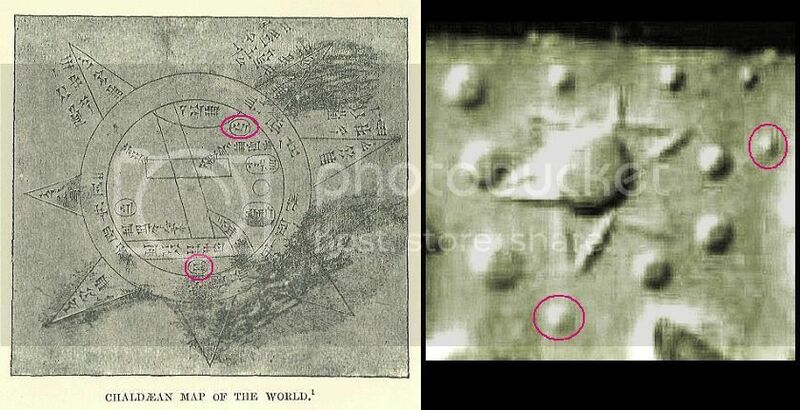 Possibly denoting the relative position of the "Ninth Planet/Nibiru"'s at the time of the pyramid's creation. 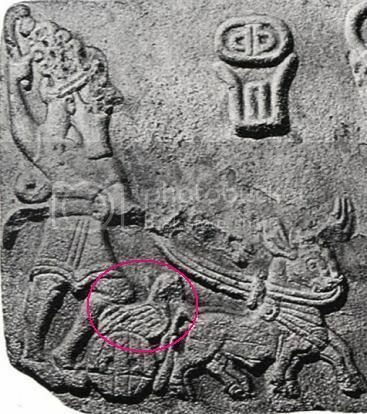 symbol of Enlil’s Age of the Bull. -The End of Days, Zechariah Sitchin, Ch:2 "And it Came to Pass"
To much paganism: What I meant by this statement is, God did not allow mankind to interact with any aliens in the past. God interacted with "Joseph the Blessing" and they left behind a footprint of the pyramids and such, afterwards God created mankind. 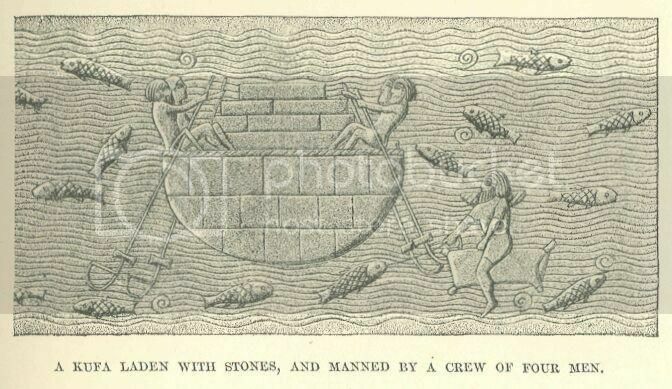 The ruins beneath the oceans of the pyramids in various places happened before God rose the water table, so they all have the uniform date of creation matching other pyramids, so before the "Flood of Noah", that activity was completed. After God officially began the judgment program with Abraham, mankind began to circulate around the earth, and they adopted the ruins for themselves, and their paganism seemed to have left the impression that there was alien contact, or something when there wasn't at all. 3. Bermuda Triangle = Position of the "Pleiades"
Best Possible Answer: God originally created an entry point for "Joseph the Blessing" when the Ninth Planet's position was relative to Constellation Cygnus, before the events of Noah's Flood was completed. ... ... ... ... God will create the final entry point for "Joseph the Blessing" when the Ninth Planet's position is relative to the "Pleiades" for the 195 Day Events of Revelation, which is currently disputed to some degree. From the Events of Exodus to the Present, is about 3500 years of difference. The Ninth Planet has moved from the Heart of Taurus to the Position of the Pleiades. This authenticates the intelligent design the ancients are illustrating as a complete equation. Cygnus, then Taurus, finally "Pleiades", no other significant positions. Love and Blessings. (out of paganism or simply because the ancients left something that was discovered at a later time, we have no expectations for those constellations specifically, they are only relative locations, nothing more). Jesus proclaims that he Measures "Elias/God", alongside the "Two Witnesses" and the blessing for Satan, this was the controversy of Jesus calling out the name "Elias" on the cross, 2 Kings 13:17-20 (65 x 3 = 195, we also see this figure with Goliath, who had the Deadly Head Wound, 1 Samuel 17:4-5, God prolaims that the Deadly Head Wound of the Antichrist must be healed for the 195 Days of Events of Revelation 13:3 ... the Antichrist must be given a resurrected body). 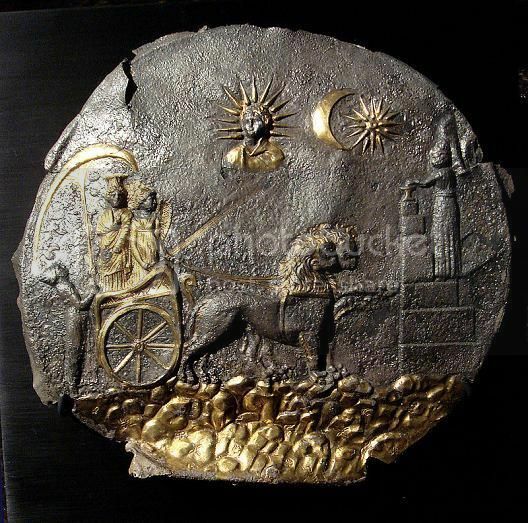 Constellation Cygnus or Cybele? "BABYLON THE GREAT HARLOT"? First God is called Seventy Saints, and then Jesus is called Seventy Measures or the Harlot, Isiah 23:15. God showed the Apostle Peter, a vision of the earth and the heavens, and he said to Peter, the Third time Star Wormword begins the resurrection, the Temple in Heaven will be full of Fallen Angels. 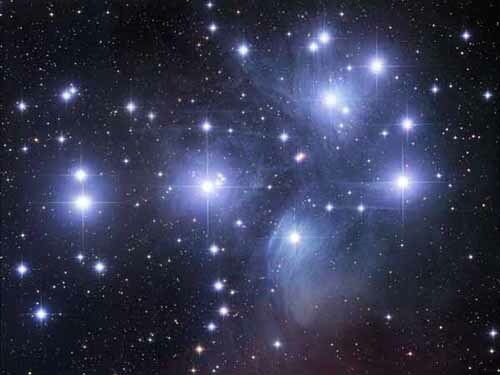 Immediately after that all the "Seven Stars of the Pleiades" were chased away, and they were never seen anymore nor for ever. We are provided with two arguments by the ancients. (Chaldean Map above matching ... Sumerian Symbol with a "X" in the center of a triangle or circle, from "the 12th planet" not referenced ... to the right is va243 Sumerian SEAL showing us the trajectory of the Rainbow). Constellation Cygnus is the Cross, which follows the Galactic Plane to Orion's Three Stars to the right, and the Chaldean Sun Symbol itself, the total design references the "Pleiades" as the location of the Ninth Planet's activation relative to earth's celestial plane in space. Bottom Pink Circle is the Ninth Planet Aligned to the va243 Sun Symbol. Pink Circle to the Right is the Earth's Moon, or the Tenth Planet which is really Star Wormwood. Two Points to bridge the Hyperdimension, to planes bridged for a Rainbow. Love and Blessings (Parabolic usage of Cygnus and Taurus denotes the crucifixion of this vessel for the Mark of the Beast which is pictured by Antichrist for 195 Days in Lengh). There is some interesting pieces of work/information in your posts. I'm no expert on the bible and or God, however I do work with logic for a living. When you talk about the pyramids, are only aware of the pyramids on the Giza Plateau? There's several thousand more pyramids on Earth. Most covered by vegetation and the oceans. This time line of yours doesn't seem logical as ocean levels have risen approximately 255ft since the last ice age/melting occurred. Call it a flood too if you like. 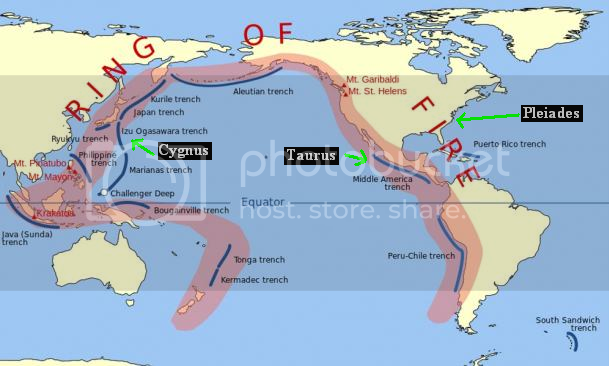 The biblical flood however (covered the world to such a degree to cover all mountains/land and for the arch to remain/rest on top of Mount Ararat) is absolute crap. We've found no whale remains on the middle of anywhere or any fish of any kind to indicate such a flood existed. The only flood that occurred was the last ice age melt ~ 17,000 to 55,000 years ago and increased the water levels on our planet a lot. It's actually just part of how planets go through their stages of life and matter. Higgs Boson has proven a lot. You mention God a lot too. To me God is simply an Alien. Ancient Hindu's speak of chariots of fire that flew around in the sky and fought a war within the sky and space. The problem with simply saying God, doesn't go back far enough in my opinion which means our current use of term "God" is a being made up to create a religion, path, knowledge to follow by those blind to the fact aliens are real, been here for millions of years and so on. I think Christians need to take a hard look at themselves and all of the bible. The new testament contradicts the old testament and has been rewritten 300 times over since the original new testament came out. King James... don't get me started! Careful when you use Satan in your remarks or the beast. Humans are the Beast and Satan is Lucifer. Lucifer is proof that when a son loves too much he is cast out of heaven and into eternal hell and fire = Earth and the Human race. As you can see now, the majority of the human race resides already in/on hell/Earth. We're the beasts = to much proof of this. No "God" would ever cast his son out for loving too much, thus I question if Christians are blind follows to an occult that is truly Evil. Never the less, we know that doing harm, wrong and bad things do not lead to making others feeling good. We know we need be humble, kind and to educate others of the truths no matter how dark they are or will lead to.